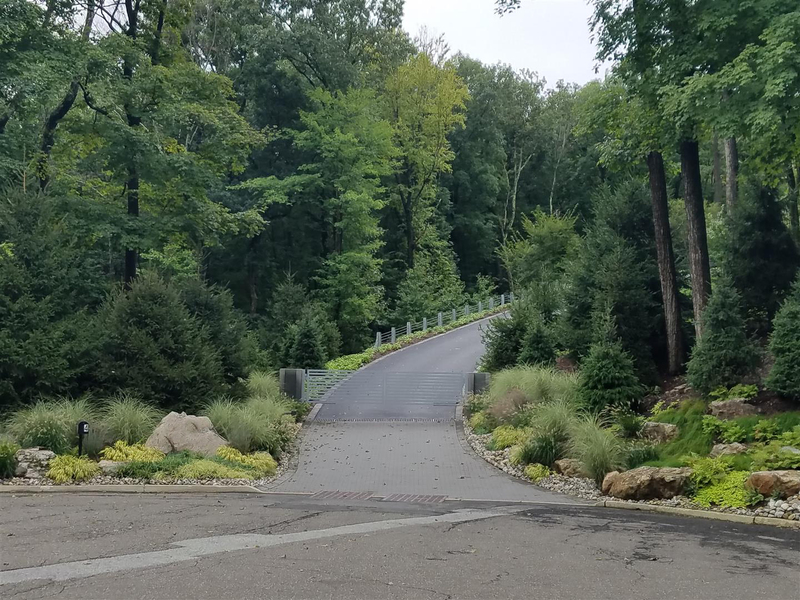 This unusual project consisted of landscaping about 180 degrees of a cul-de-sac at the base of a client’s driveway. 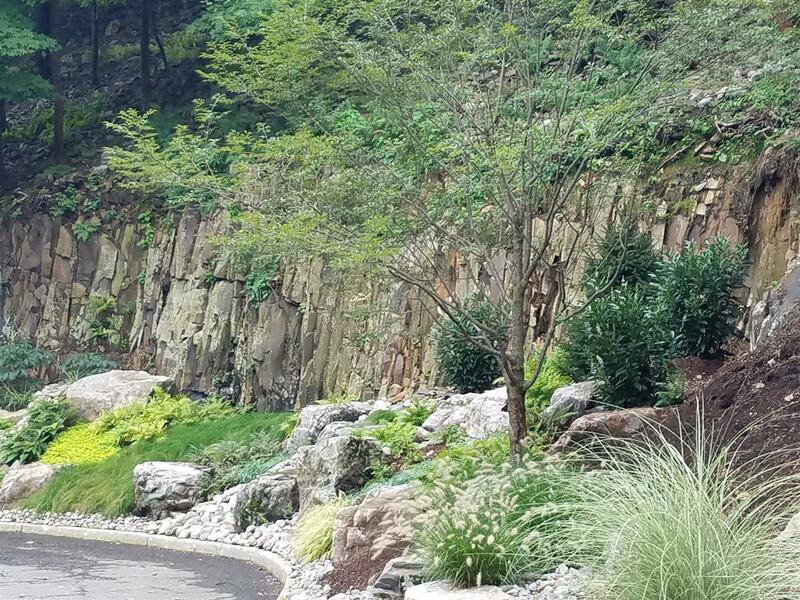 A portion of the cul-de-sac terminated in a 15 to 20 foot basalt cliff leaving about 14 feet between the base and the pavement. 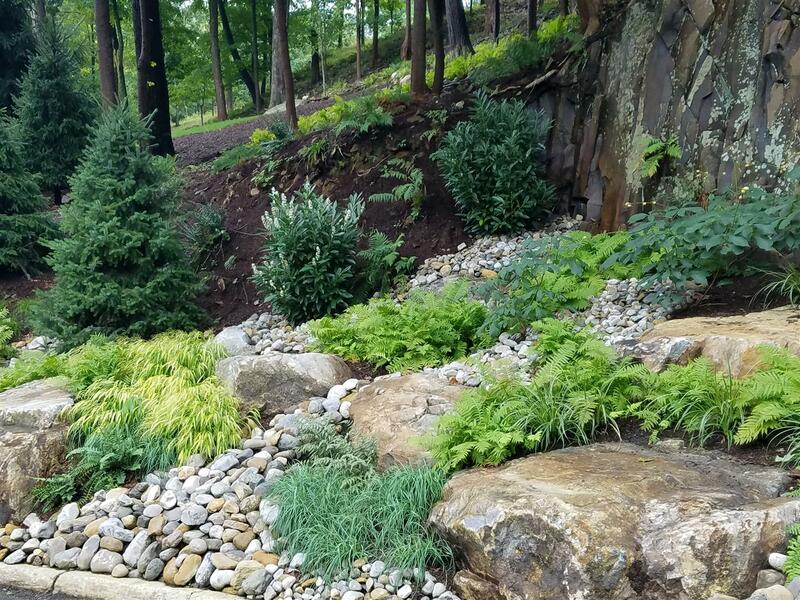 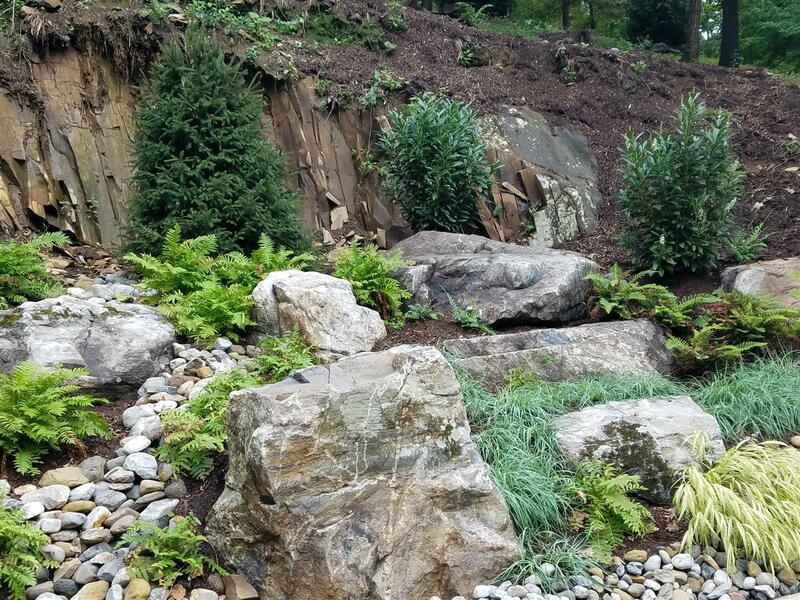 We brought in a lot of big boulders and soil to create planting areas and to try to integrate the gardens into the rocky feel of the setting. 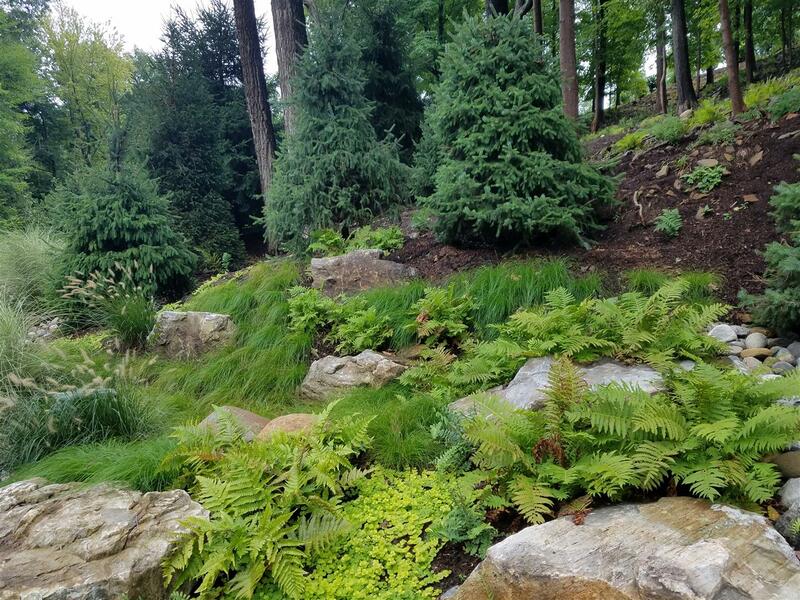 We put in bottlebrush buckeyes, skip laurels and couple of cryptomeria. 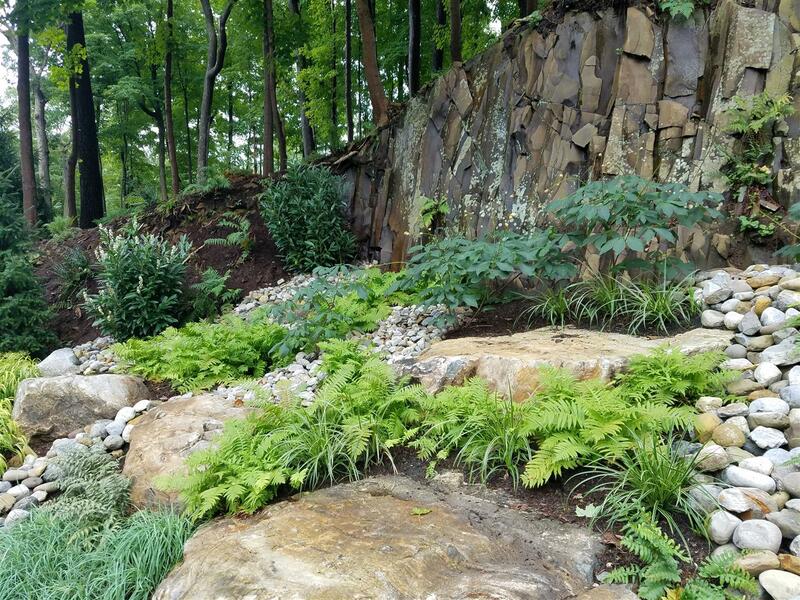 We used masses of carex, various grasses and a variety of ferns to create a lush loose feel. 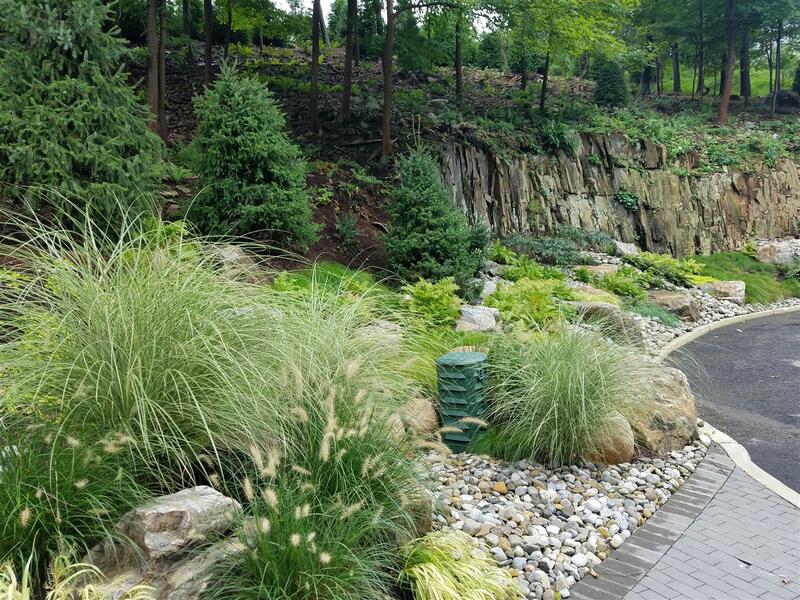 The design is riddled with veins of gravel and river rock to give it some breathing room and architecture. 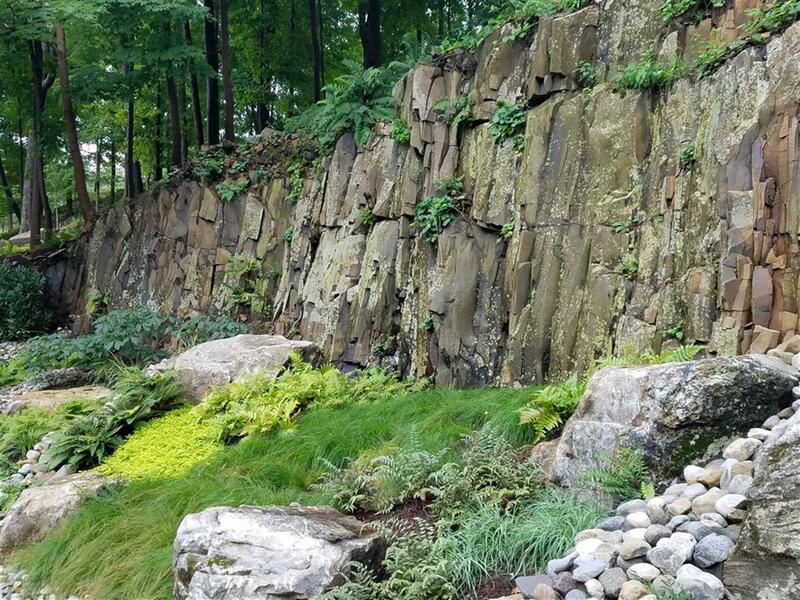 All of the stone created a starkness in the beginning but as things grown in it will soften the look and realize the ultimate vision. 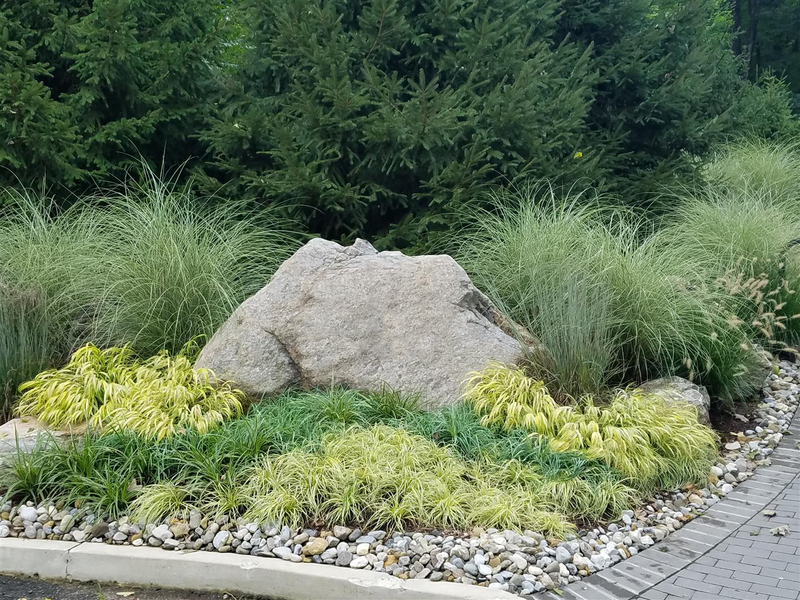 This installation took place in May of 2018 and the current photos were taken mostly in September of 2018 so there was a lot of growth and change in one season.